Tumbleweeds might be the iconic props of classic Westerns. But in real life, they’re not only a noxious weed, but one that moves around. As they roll and bounce, pushed by gusts of wind, they can overwhelm entire neighborhoods, as happened recently in Victorville, California, or become a threat for drivers and an expensive nuisance for farmers. And tumbleweeds aren’t even originally from California, or the West for that matter. Genetic tests have shown that California’s most common tumbleweed, known as Russian thistle, likely came from Ukraine, said retired plant population biologist Debra Ayres, who studied tumbleweeds at the University of California, Davis. A U.S. Department of Agriculture employee, L. H. Dewey, wrote in 1893 that Russian thistle had arrived in the U.S. through South Dakota in flaxseed imported from Europe in the 1870s. “It has been known in Russia many years,” Dewey wrote, “and has quite as bad a reputation in the wheat regions there as it has in the Dakotas.” This is where the name Russian thistle originates, said Ayres, although tumbleweeds aren’t really thistles. 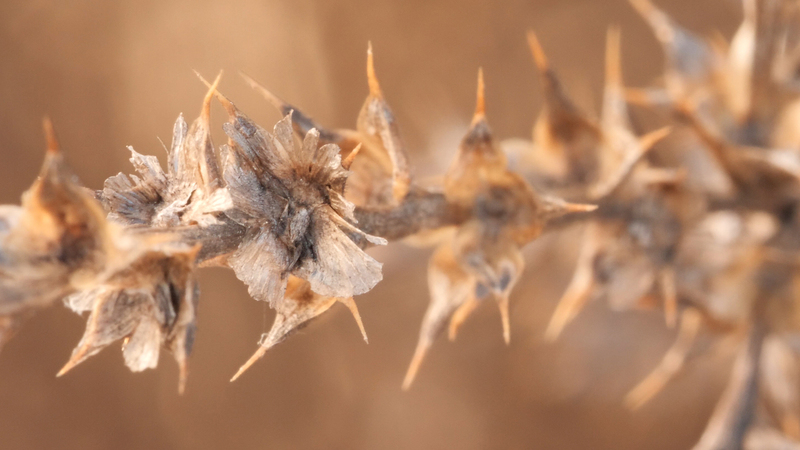 By the end of the 1800s, Russian thistle had arrived in Southern California’s Antelope Valley and Bakersfield. The weed spread quickly through the United States — on rail cars and through contamination of agricultural seeds. And by tumbling. By bouncing and rolling in the wind, a tumbleweed spreads out tens of thousands of seeds so that they all get plenty of sunlight and space. Tumbleweeds grow well in barren places like abandoned agricultural fields, vacant lots or the side of the road, where they can tumble unobstructed and there’s no grass, which their seedlings can’t compete with. Tumbleweeds start out as any plant, attached to the soil. 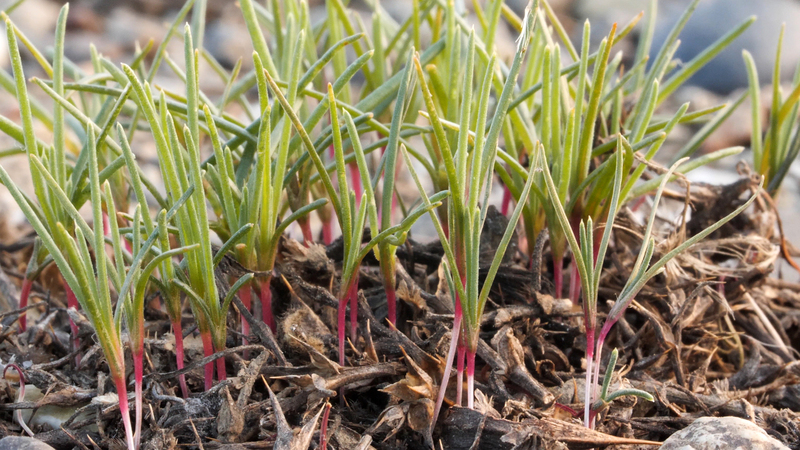 Seedlings, which look like blades of grass with a bright pink stem, sprout at the end of the winter. By summer, Russian thistle plants take on their round shape and grow white, yellow or pink flowers between thorny leaves. Inside each flower, a fruit with a single seed develops. Other plants attract animals with sweet, tasty fruits, and get them to carry away their seeds in their stomachs and disperse them when they defecate. Tumbleweeds developed a different evolutionary strategy. Starting in late fall, they dry out and die, their seeds nestled between prickly dried leaves. Gusts of wind easily break dead tumbleweeds from their roots. A microscopic layer of cells at the base of the plant — called the abscission layer — makes a clean break possible and the plants roll away, spreading their seeds. 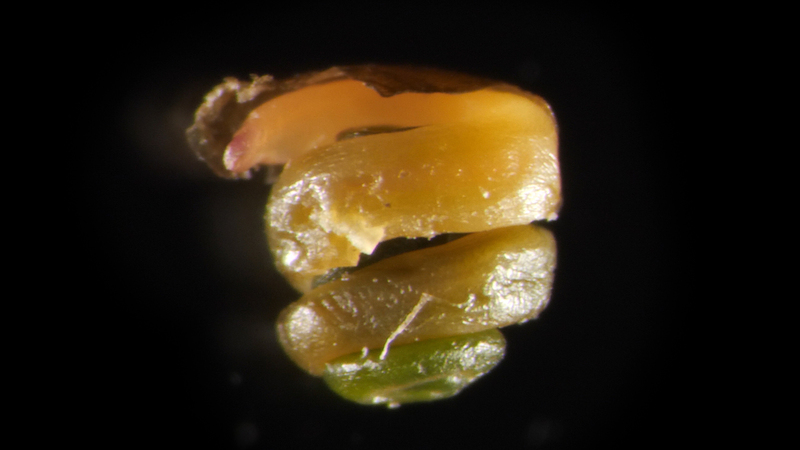 When the rains come, an embryo coiled up inside each seed sprouts. 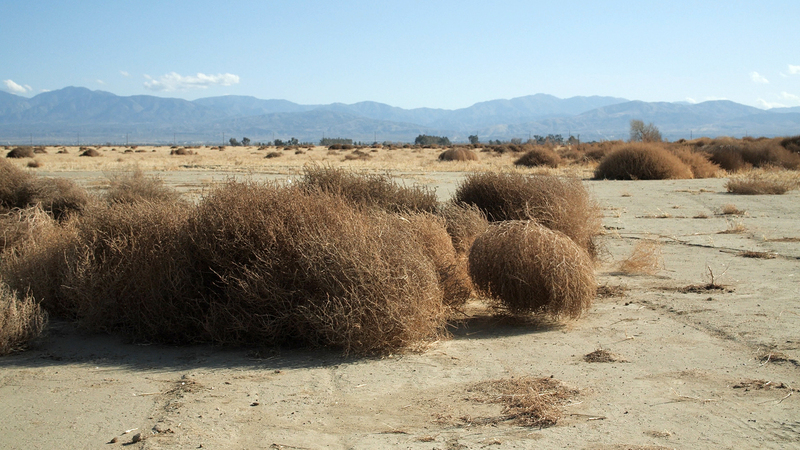 Tumbleweeds cause a host of problems in California, where they’re found throughout the state. In places like the southern San Joaquin Valley they can grow to be more than 6 feet tall, said Pitcairn. To prevent this from happening, California Department of Transportation crews use pitchforks to pluck tumbleweeds from the ground and toss them into large compactor trash trucks, said Cathryne Bruce-Johnson, Caltrans public information officer in San Diego. Tumbleweeds can also pile up against buildings and become a fire hazard. That’s what happened the morning of April 16 in Victorville, northeast of Los Angeles, when 60 mph winds pushed hundreds of them into a neighborhood that borders undeveloped land in the Mojave Desert. “It happened very quickly,” said Sue Jones, public information officer for the city. Tumbleweeds piled up so high that they reached the second floors and blocked the entrances to about 100 homes, and also covered the baseball diamond at a nearby park, she said. It took 36 city workers well into the night to clear them out. In many western states, Russian thistle is an agricultural weed and farmers have to spray it when it grows among their crops. That’s a bigger concern in Oregon, Washington and Idaho than in California, said Pitcairn. 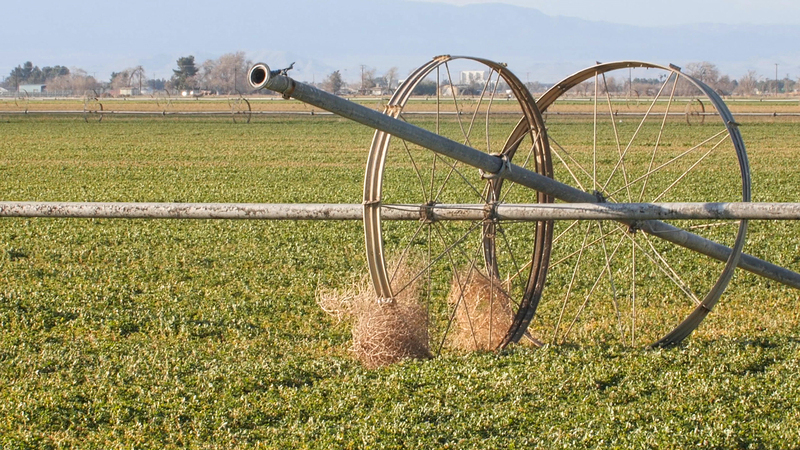 In California, tumbleweeds clog sprinklers and irrigation canals. And they also harbor agricultural pests when they’re green. 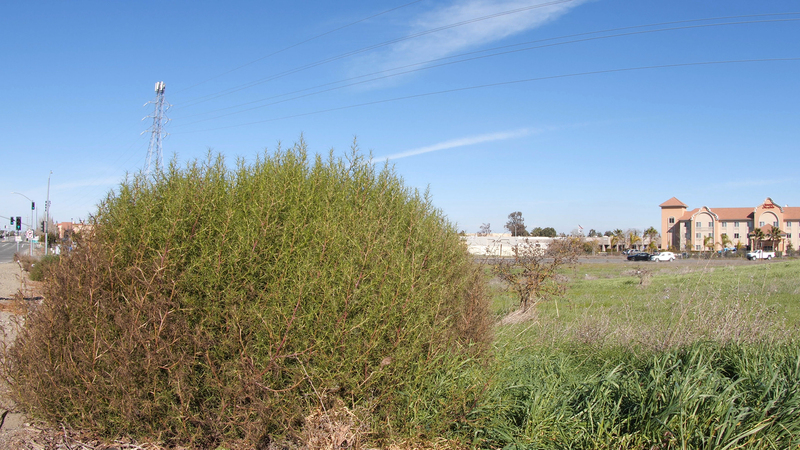 In the spring and fall, the California Department of Food and Agriculture sprays insecticides on green Russian thistle in the Central Valley and surrounding foothills to get rid of the beet leafhopper. The insect can transmit the curly top virus, which damages crops such as sugar beets, tomatoes, melons, cucumbers, peppers, squash, spinach and beans, said Pitcairn. Spraying costs several million dollars each year, which comes from fees paid by vegetable growers, he said. The beet leafhopper lives in Russian thistle because it’s one of the few plants that stays green in the fall in the foothills of California’s Central Valley. In the cities of Palmdale and Lancaster, tumbleweeds are such a big problem that Los Angeles County spends $100,000 to $150,000 yearly mowing and chipping dried-out Russian thistle in vacant lots and abandoned agricultural fields before they can tumble away, said Ariel Verayo, deputy agricultural commissioner at the county’s weed abatement division in Lancaster. Tumbleweeds blow into alfalfa fields and need to be cleared out before the alfalfa is harvested. Alfalfa is cattle feed, and cows won’t eat prickly tumbleweeds, Verayo said. One alfalfa farmer earlier this year found a creative use for tumbleweeds after clearing them off his field. He packed them into rectangular bales and told Verayo he planned to use the bales for bow and arrow target practice. That’s one way of making sure tumbleweeds no longer tumble.